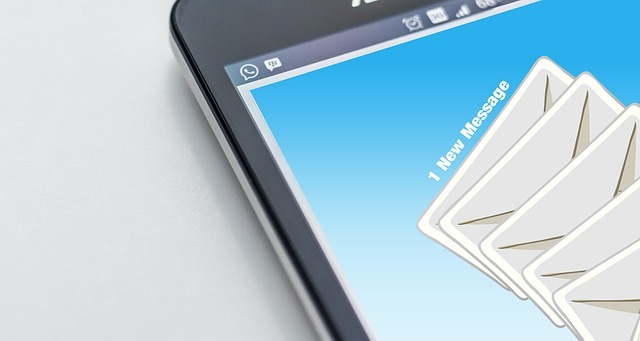 Email marketing is one of the cheapest ways to strengthen your brand, promote products, and keep in touch with your customers and potential leads. However, getting people to sign up to your list can be difficult in this day and age. After all, would you give your personal email address to just anyone? Still, it’s worth the challenge, to build a large list of email addresses that belong to real people who are interested in you, and what you have to sell. This is why we have made this article to teach you some Tips for Successful Email Marketing. 1. Make the Process Easy and Enticing! If you expect to get someone’s personal contact information, you’ll need to provide a tasty carrot to dangle in front of their noses. The value of the carrot you dangle will define the value of the people willing to sign up to your list. (Your squeeze page is your carrot’s packaging so consider how it affects the perceived value of your temptation!) Make sure people have a reason t subscribe to your email list. This is the first of three Tips for Successful Email Marketing we have for you today (however we have some bonus tips as well). The carrot is the incentive that starts the ball rolling, but the process is what makes or breaks the deal. Your opt-in needs to be utterly painless, quick, smooth, and hassle free, anything less and your prospect will bail out before completing the opt-in form. This is true almost always, regardless of the value of the carrot you are dangling. After the opt-in, how you follow-up is important, from the very first email you send to the last email your subscriber opens, your follow-up determines the length of time they subscribe to your list. Some people say you’re only as good as your last email! It’s important to note, that it’s easier to keep a subscriber happy than it is to go – out into the big wide Internet and try to rustle up another subscriber. Furthermore, if you can keep a subscriber extremely happy, they’ll not only stay subscribed they’ll probably help recruit new subscribers, via word of mouth. The first contact you make with a subscriber should be your “welcome email”. It should be A: welcoming and B. the best sampling of what they should expect in the future! In the welcome email, it helps to not only deliver the original carrot that you promised on your squeeze page but to go a bit further and over-deliver by giving them some added surprise value, just for opening the email up! Repeatedly offering a surprise extra value gifts to your subscribers will, (over the course of their subscription) ensure that they’ll look forward to receiving emails from you and will give your subscribers more reasons to open each email you send. After all, having someone on your list that doesn’t open your emails is as bad as not having them join your list at all! When they start opening your emails, you’ll want to make sure that you don’t bombard them too often, with too many emails. Send your emails out on a regular schedule that is reasonable so as not to clog up their inbox with more material than they can absorb. A good rule of thumb is, don’t send emails out when you don’t have anything to say! Another good rule of thumb is to watch the statistics provided by your auto-responder to see which emails you’re sending make a hit, and which ones miss! This will help guide you to the sort of content your emails should be providing! Holding back information, if you must, to meet the demands of your scheduled delivery date is a good idea. Not sending an email on time is sometimes as bad as sending too many. make all your emails speed-reader friendly! Don’t expect everyone on your list to read every word you wrote, most people are too busy, and have too many emails in their inbox! Make sure that you cater to these speed-reading subscribers by formatting your emails with double spaces to divide separate ideas, and bullet points that draw attention to what’s really important. Links that you want or need your subscribers to click on, don’t always stand out in the bright blue that web surfers have come to expect, in emails. So, make sure the important links are formatted in a way that stands out, with a call to action, which makes clicking the link enticing! Make sure that you´re always friendly to your readers and that your text is edited and makes sense. This is the most essential tip of our Tips for Successful Email Marketing. If you’re doing everything above correctly, it’s time to help your happy subscribers share your emails, so that they can become apostles for your brand’s cause! Most autoresponders make it easy to share your newsletter, so make sure that you take advantage of the share features they provide. If you do the rest right, people will take advantage of the share buttons and your list will grow all on its own! These were some of the most important Tips for Successful Email Marketing. If you have any further questions or feel like we missed something, feel free to comment below and let us know! NextHow Can Google+ Help me With SEO?